1. (of textiles) dyed before being formed into cloth. 2. (idiomatic) firmly established in a person's beliefs or habits; deeply ingrained in the nature of a person or thing. 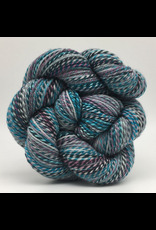 After a decade of operating exclusively as a handspinnery, Spincycle set their sights on finding a way to merge the beauty and texture of a handspun yarn with a more efficiently produced millspun yarn. Dyed In The Wool is that yarn. Their mill is located on Queen Street in Bellingham, Washington, and runs five days a week. The Spinster's dye in-house as well, in the same fashion they used to dye when they were handspinning. Spincycle's pots are bigger, though! 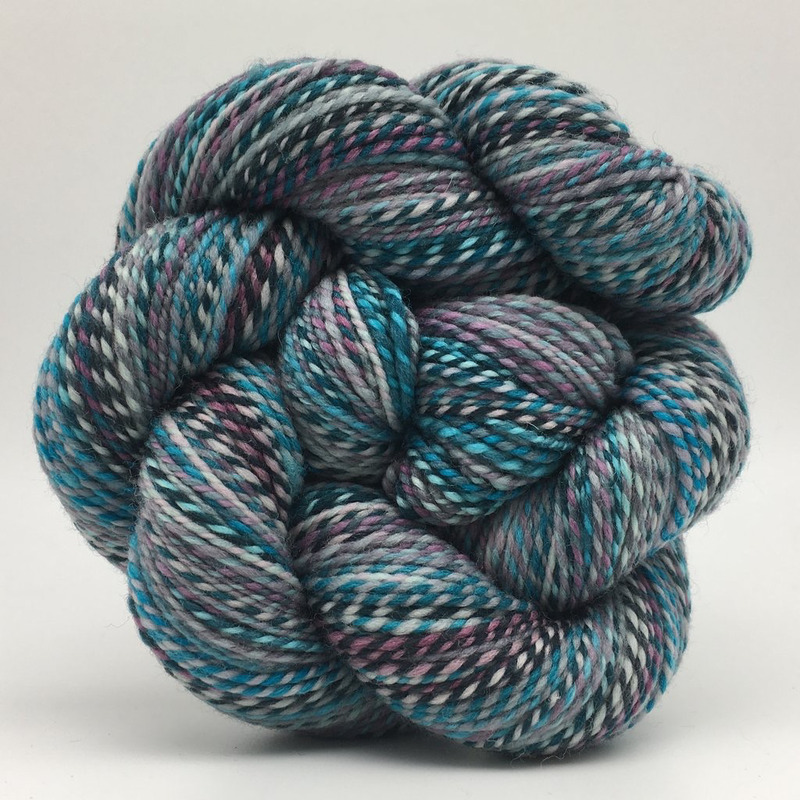 Because they dye the fiber before it's spun, colors meet and part ways in stunning, unique combinations; the overall effect is of a balanced, seamless whole.